From early recorded history to the present, efforts have been made to understand human behavior. The desire to have ways of describing what people do, how they do it, and even why they do it, is not new. Different societies, including Greeks, Romans, Hindus, Africans, and Native Americans, all had different ways of quantifying and describing what they observed in themselves and others. Some of the methods created by ancient civilizations to describe human behavior are still talked about, and in some cases even relied upon, today. Hippocrates and his description of the “Humours,” with Galen’s analogy of body fluids, is often referenced. Other systems, like numerology and astrology, attempted to clarify the mysteries of people’s behavior and still have their devotees. With Freud, Jung, Adler, and others came the modem schools of psychological thought. Freud described the id, ego, and super ego; Jung talked about anima and animus, the shadow, and enduring archetypes; Adler stressed the importance of early myths and motivations based on interpersonal needs. Later, the behaviorists thought that what people did was directly related to whether the response they got was painful, pleasant, or neutral. Despite the history, the theories, and battles among theorists, interest in human behavior remains strong, and the need for simple, effective ways of understanding and communicating about behavior is greater than ever. DiSC® is a powerful tool that is easy to understand and simplifies the complexity of human behavior. You do not have to be a trained psychologist, know ancient philosophies, or have an interest in astrology to provide DiSC Training. It is accessible to anyone who has the desire to learn more about himself or herself and other people. DiSC is based on William Moulton Marston’s two-axis, four-dimensional model. The model divides behavior into four distinct dimensions: Dominance, Influence, Steadiness, and Conscientiousness (DISC). Marston developed the descriptive categories that made a practical application of his model possible. Later, authors and researchers expanded on his model and developed a variety of applications. Based on Marston’s Model, DiSC Classic (formerly called the Personal Profile System®) was created and first published in 1972. The uniqueness of DiSC is that it is a self-administered, self-scoring, and self-interpreting instrument created from Marston’s Model. This self-approach has made DiSC widely available and easily accessible. We know behavior can change or be adapted if an individual changes their perception of the situation. Marston’s Model bears that out as well. Because the model is based on perception, it makes sense that if perceptions change, behavior will change too. The dynamic interaction between perception of self and environment explains how an individual may behave differently from one situation to another. The difference represents a flexible response based on the person’s perceptions. Those who take DiSC at different times and in different situations might notice that the instrument may reflect differences in perception. Used in this way, DiSC becomes a powerful tool for self-understanding in a variety of settings and will reflect adaptation to various circumstances. While behavior may change from one situation to the next, there are many inconsistencies in behavior across a variety of situations. As described earlier, behavior has its roots in core personality traits. Those traits vary little over time and form the basis of who the individual is and what he or she does. Because of that, we can expect people to adapt and flex to meet the needs of the situation, but we cannot expect them to become entirely different people. DISC reflects the consistencies in behavior as well as the adaptations of behavior for individuals who use it. As part of a DiSC Training Program, DiSC simplifies the complex issues involved with human behavior and interpersonal relationships. Through the language of DiSC, participants have a new way to reflect on themselves and others and to improve their relationships. Everything DiSC Training Kits, available through Intesi! Resources, provide all the tools necessary to help reinforce the information delivered by the DiSC Profile. 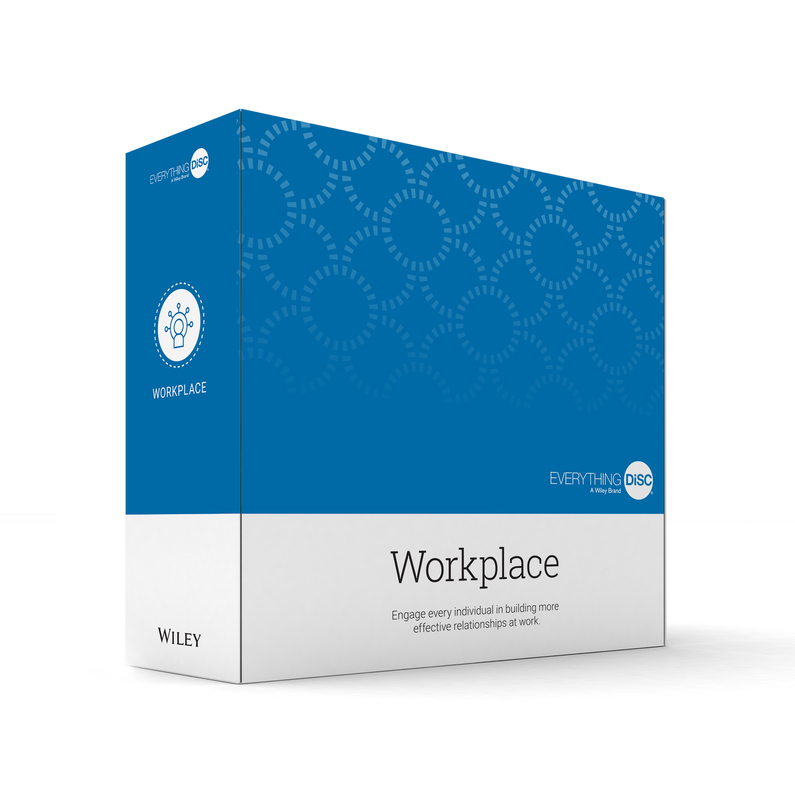 Get the most value out the use of the Everything DiSC Workplace Profile by adding these effective training and development courses provided by the Everything DiSC Workplace Training Kit. Fully customizable PowerPoint presentations and leaders guide. Teach and demonstrate the power of DiSC Training for positive change using this complete and modular training facilitation kit! Get the most value out the use of the Everything DiSC Productive Conflict Profile by adding these effective training and development courses provided by the Everything DiSC Productive Cinflict Training Kit. Fully customizable PowerPoint presentations and leaders guide. The Everything DiSC Management Training Kit includes complete materials for easily customizable classroom training that uses online pre-work, engaging facilitation with contemporary video to create a personalized learning experience. Using the Everything DiSC Management Profile, a simple and intuitive learning model, participants recognize and understand their management style and the styles of the individuals they manage. The powerful result is managers who understand their style of managing and how they can adapt their styles to manage others more effectively. This Everything DiSC Work of Leaders Training Kit is training that uses pre-work delivered online via the profile, engaging contemporary integrated videos, and online follow-up exercises to create a personalized training experience for all. Based on proven best practices, the Everything DiSC Work of Leaders Profile connects to the demands of the real world and generates powerful conversations that uncover a path for leadership action. 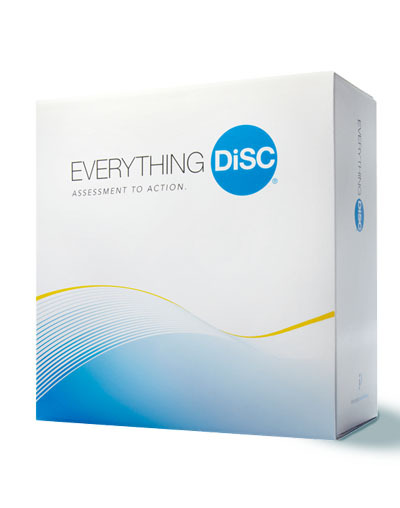 The Everything DiSC Sales Training Kit provides sales training that combines online prework using the Everything DiSC Sales Profile, engaging facilitation and video, and online post-training reinforcement to create a personalized learning experience. It helps develop GOOD salespeople into GREAT salespeople. Using DiSC, a simple and intuitive learning model, participants learn how to read and understand the styles of their customers. The result is salespeople who adapt their styles to connect better — and close more sales. The DiSC Classic Training Kit is the most powerful tool ever built to help you succeed with DiSC. The kit contains training based on the following DiSC Profiles: DiSC Classic 2.0 Profile, DiSC Classic 2 Plus Profile, DiSC PPSS Profile, DiSC Classic Paper Profile, DiSC Classic Group Reports. 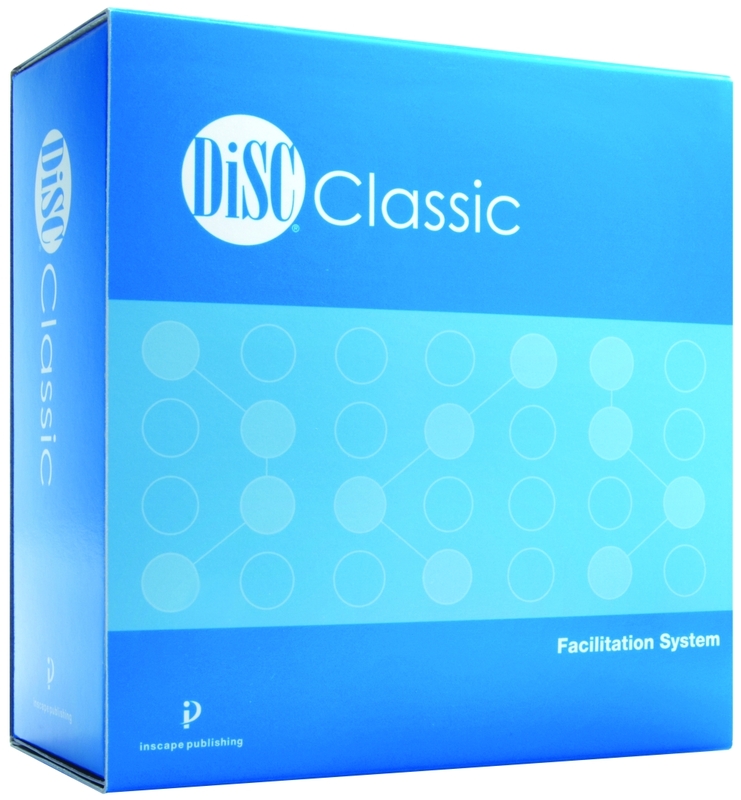 The result of over 25 years of DiSC research, the DiSC Classic Training Kit offers a new versatility in crafting solutions for a wide variety of organizational issues using a DiSC Training Program.